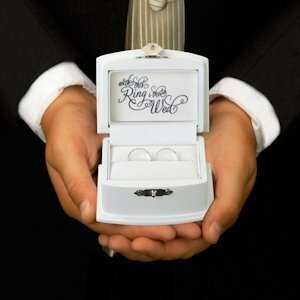 The ring bearer will make his way down the aisle without the worry of dropping the rings when they're securely held in our Ring Bearer Box. 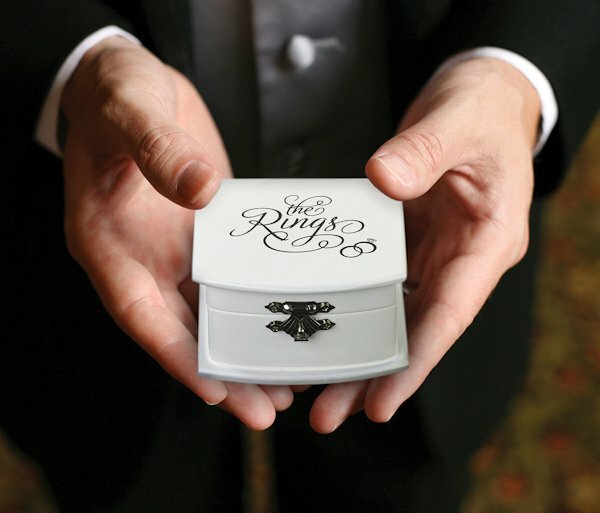 This white ring box features the words "The Rings" on the outside with a decorative ring picture on the cover. It opens to show the words "with this ring I thee wed" written in a beautiful scroll and has a space to hold both rings in place. There is a small clasp to keep the box closed. It measures 3.5" x 2.75".